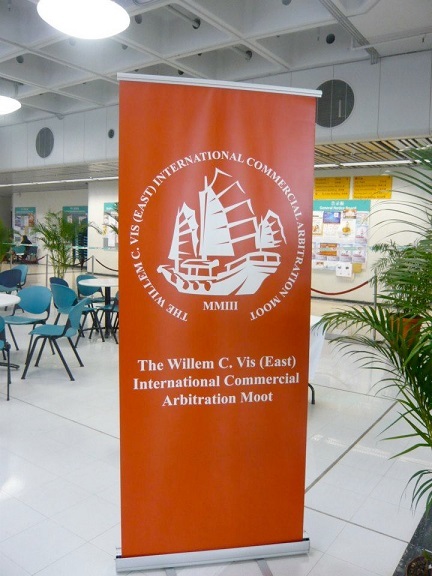 The Moot is organized by the Association for the Organization and Promotion of the Willem C. Vis International Commercial Arbitration Moot (Verein zur Veranstaltung und Forderung des Willem C. Vis International Commercial Arbitration Moot). Institutional members of the Verein are Pace University, Queen Mary (University of London), Stockholm University, University of Vienna, Austrian Arbitration Association, Austrian Federal Economic Chamber, Moot Alumni Association, and the United Nations Commission on International Trade Law (Secretary of UNCITRAL is member ex officio). LAWASIA is an international organisation of lawyers’ associations, individual lawyers, judges, legal academics, and others that focus on the interests and concerns of the legal profession in the Asia Pacific region. LAWASIA facilitates its members’ participation in the most dynamic economic region in the world. Since its inception in 1966, LAWASIA has built an enviable reputation among lawyers, business people and governments, both within and outside the region, as a committed, productive and genuinely representative organisation. The Moot Standing Committee acknowledges the importance of and observes that mooting has emerged as a critical component of legal education simply because it provides the skills training element for the fundamental skills necessary for a prospective lawyer. Indeed many leading law schools have either made mooting compulsory or forms an important part of the curriculum. Mooting offers a systematic training process of the essential skills of problem solving, legal analysis, drafting legal submissions and the development of public speaking. The ability to articulate one’s thoughts and arguments condensing disparate, often conflicting legal authorities into succinct and persuasive arguments is arguably the single most important weaponry in the lawyer’s arsenal. Some Law Schools have yet to recognise the importance of mooting where it is considered an extracurricular activity confined to and organised by the student body. Such neglect cannot be allowed to continue if we are to raise the standards of our lawyers to meet the needs of a globalised world. We recognise that the constrains of individual Law Schools and for this reason the Committee would encourage all Law Schools not only to participate but hopes that its students would be encouraged to attend the Competition.